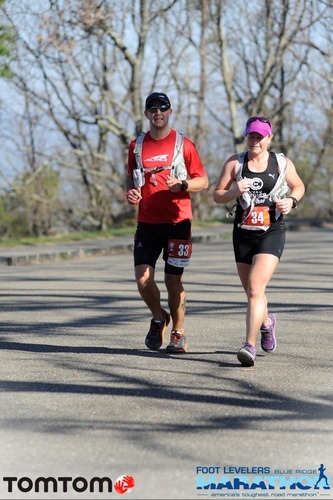 "Toughest Road Marathon in the US"
I did the double Blue Ridge Marathon this year. Stunning race with amazing scenery. This is a tough one with over 7400 feet of elevation, all on road. Great race organization with aid stations in all the right places. Aid stations are stacked with super friendly people and enthusiastic volunteers. The race venue and the finish line are tons of fun, and all the runners get a free beer and pizza at the end! The full marathon has about 600 people. There is also a half marathon and a 10K.